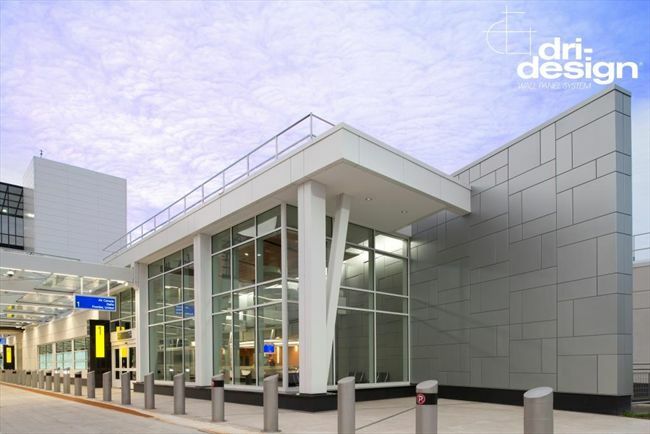 The existing Baggage Claim at GMIA was added onto and renovated. 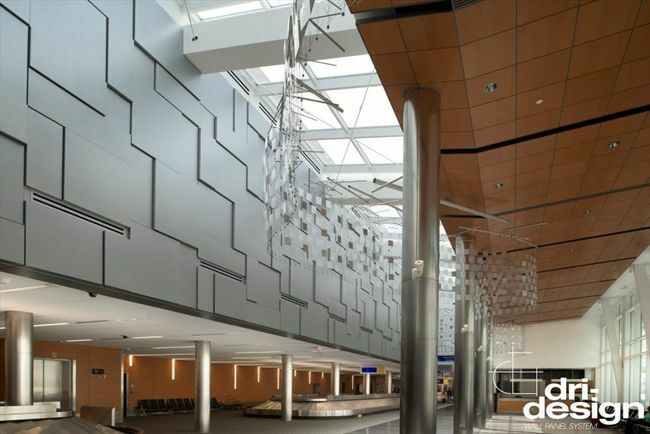 Dri Design silver panels were provided along the entire 600' long wall that formed a curve at both ends. 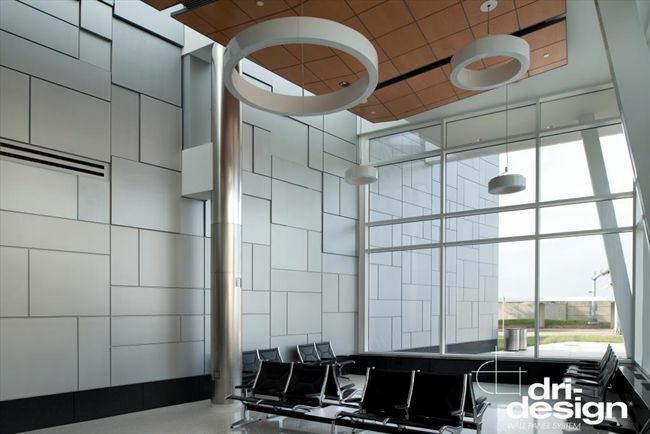 The Dri Design panels were fabricated with the Shadow Wall Series which provided 3 different depths. Horizontal and Vertical dimensions also varied. 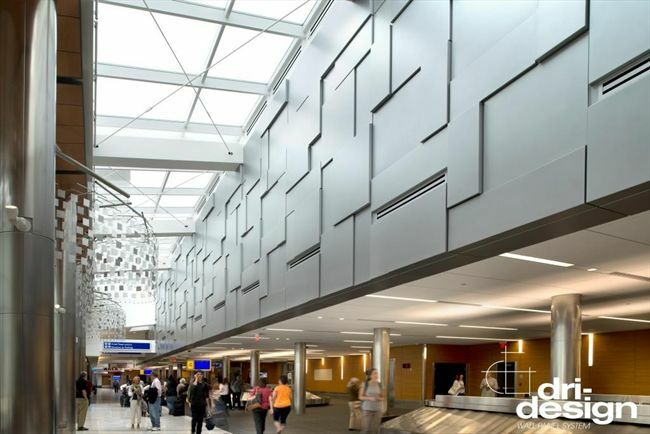 The wall panel pattern repeated itself every 20' and incorporated a continuous vertical joint every 4'. 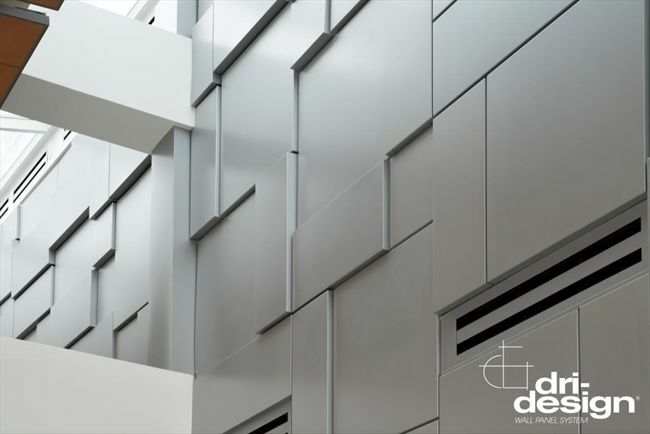 The continuous vertical allowed the panels to conform to the curvature of the wall. 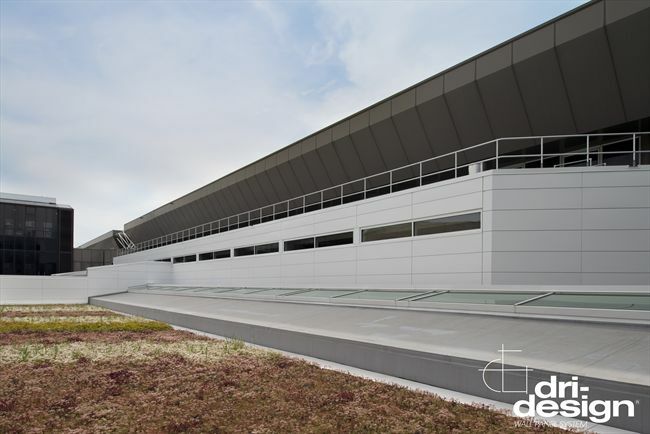 Exterior areas, such as the existing stair tower, penthouses, and canopies were clad with Dri Design Bone White panels. All panels within 6' of grade were reinforced to provide impact resistance. Column covers were fabricated by All Fab Manufacturing in 18' lengths.